This week we return to the world of Collinsport, with more details on Dark Shadows Bloodline and some Dark Shadows special offers. Plus there are two new Doctor Who releases, and much more! Don't miss out on any of the news in the Big Finish Roundup. At the time of writing we have some special offers on our Dark Shadows stories. From now until the 21st March 2019, you can get the first 50 Dark Shadows audiobooks at just £3.99 each on CD. You can also pick up Dark Shadows: The Legend Reborn for just £1.99 and Dark Shadows: Music from the Audio Dramas Volumes One and Two at just 99p each – but only whilst stocks last. Don’t forget that every CD purchase unlocks a download exclusive via the Big Finish app and the Big Finish website. (Please note that Angelique’s Descent does not unlock a download and this title will not be going out of stock on CD). Head to page https://www.bigfinish.com/offers/v/darkdeals and enter access code BLUEWHALE to get these Dark Shadows bargains at the special offer prices. Big Finish were pleased to announce further details for the forthcoming horror serial Dark Shadows: Bloodline, including more of the cast, on Monday. The cover for Volume One of Bloodline has also been released, as has the story details. In the Great House of Collinwood Amy Jennings and David Collins are finally putting years of tragedy and loss behind them and committing to a life together. And, as the ceremony approaches, friends old and new are drawn to the town at the edge of the sea. Once again, the tortured vampire, Barnabas Collins, is amongst them. But this time he is not alone. After so many years away, Doctor Julia Hoffman has returned with him, finally convinced she has the means to cure his affliction. But joy and happiness never last long in Collinsport, for malevolent forces are never far away. Among those gathered for the celebration are some who would conspire to tear the family apart. In this town some wounds refuse to heal, some secrets demand to be heard, and some sins cry out to be punished. It’s time to discover the origins of Kamelion – if the TARDIS team survive the journey… The Fifth Doctor, Tegan and Turlough are back, joined by Kamelion (voiced by Jon Culshaw) in the finale of our Kamelion trilogy, out on Tuesday. Doctor Who – The Kamelion Empire is out now. The Fourth Doctor is travelling back to his comic days in a brand new box set. Adapted from well-loved comic strips, the Doctor encounters the Iron Legion – an army of robotic Roman legionnaires, and along with companion Sharon he’ll encounter one of the deadliest and most adorable villains ever – Beep the Meep. Doctor Who – The Fourth Doctor Comic Strip Adaptations Volume 1 is out now. Terry Nation’s Survivors is drawing to a close with Series Nine and what an epic finale we’ve in store for you. 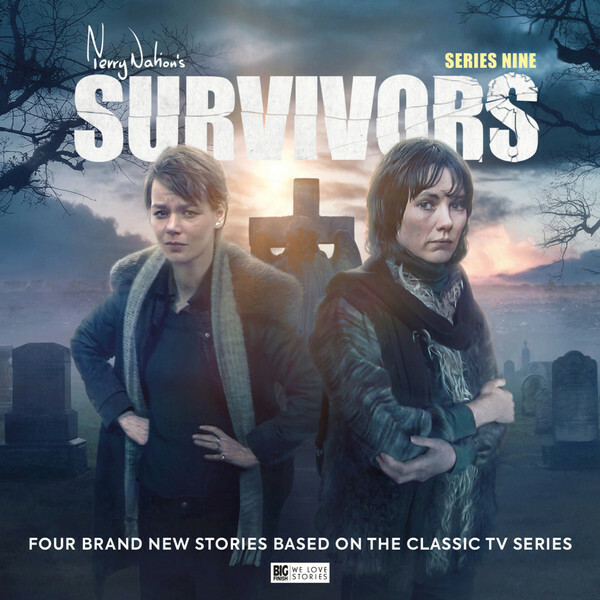 Happily this isn’t the end of the audio adventures from the world of Survivors, but the current ongoing narrative will be wrapped up at the end of this series, due for release in June 2019. Well, Missy has a plan. And to carry it out, she’s going to have to break some rules. And people. And planets.